Fragrances are some crazy mood enhancers. Crazy since, they have amazingly quick and brisk effects on mood. A smooth and appetizing scent can brighten the mind and fill it with tranquility. Strive to fill your home, workplace or apartment air with some sweet smell and it will always add on to your good moods and will lighten the bad ones. Just imagine, you walk into your shelter after a long day outside and smell some fresh baking cookies or some fresh cinnemon. The home feels welcoming and the most lovely place on earth after that. Do you tend to love everyone you see after that? No wonder, people spend hundreds and thousands of rupees on fregrance candles, scent sprays and many more things. It invites happiness in the mood and surroundings (just try to compare it with your obese college apartment). After reading this, you must be tempting to make your place full of blossoming fragrances and feel good, though you don’t have to hop over to your nearby store and buy some. There are some great tips below can suggest using some DIY objects for making your house smell amazing in an economical way. 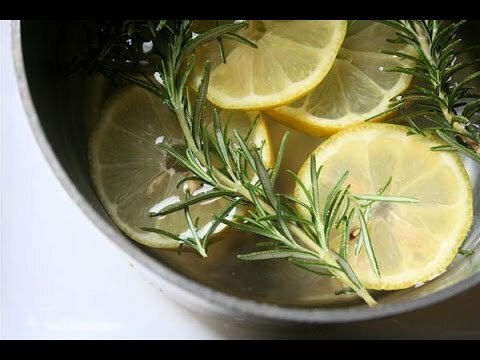 To make this simple creation, all you need is: -A small stockpot -Water in it -Rosemary -1 Lemon -Vanilla extract Fill up the pot about 2/3 full with water. Add one lemon (chopped) and a few rosemary springs. Then, add the 1/2 tsp of vanilla. Let this mixture simmer all day; it’ll fill your rooms with a heavenly scent. You can use the same mixture for about 48 hours, but you’ll want to change it after that, or else it may smell a little awful. Making scented wood blocks is super convenient. Just make sure you own some: -Wood bricks -Fragranced oil or scent and small paint brushes. Cover the wood blocks in the oil/perfume by either painting or spraying it on. After layering them, you can even put them in a closed box with some extra oil. Shake them up to make sure they are topping well. Let it sit in the oil overnight so that everything is absorbed. Then it’s done! You can even refresh your wood blocks over time by just adding more oil to them. You thought oranges are just eatables? Give it a repeated thought. You can make candles out of them. An orange, Knife, Oil (canola, vegetable or olive). 1.) Start by cutting your orange in two. 2.) Take your knife and take it around the edges of the orange. This will loosen the fruit part from the peel. 3.) With a fork, eliminate the inside of the orange. DO NOT remove the inside stem. This white piece rests inside the center part of the orange. It may be rather tough, so just continue to remove away the fruit around. 4.) Once the inside part of your orange is clean and subtle, you can fill it ¾ with oil. Remember you can use any oil of your choice. 5.) Let the oil sit in the orange inside for about 1 hour or lesser. It is important to let the oil sit, and the stem of the orange captivate and absorb it nicely. This is will help it in burning well. 6.) In these 45 minutes, you can try lighting your orange candle. You will need a candle lighter to do this. The match stick or cigarette lighter does not stay lit long enough to get it done. Hold candle closer to the stem and let it heat up the stem. You will need to do this for 3-4 minutes. 7.) Let the stem pause for a moment. It should be fine and dark brown at this point. It should feel dry on touch. 8.) Try relighting it again. This will take a few seconds. You must hear a little crackling and then the flame should go away on its own.